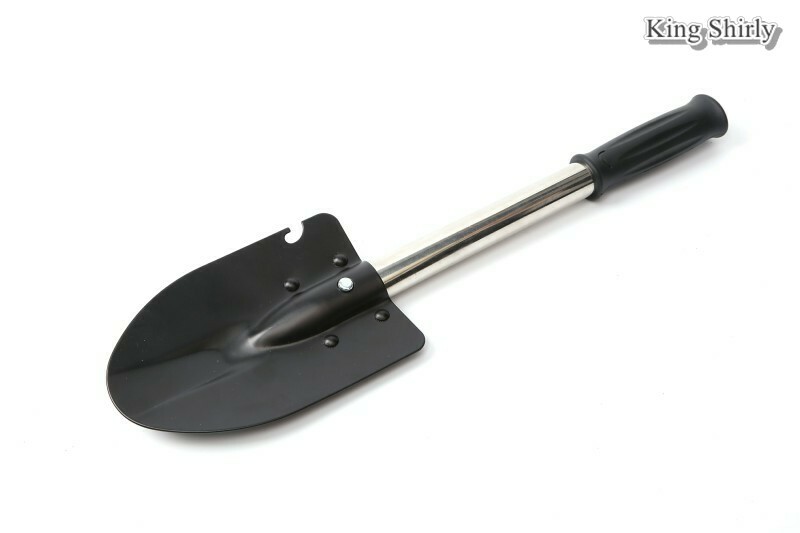 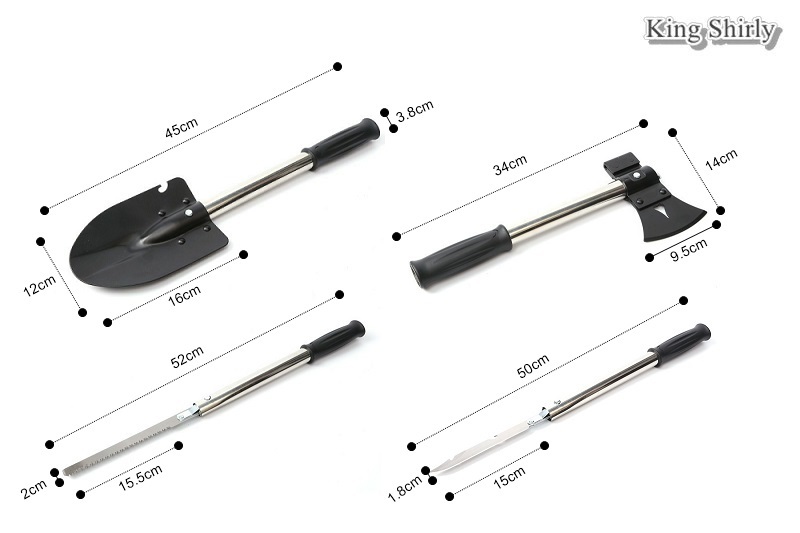 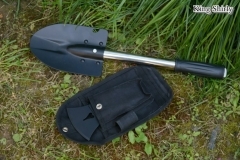 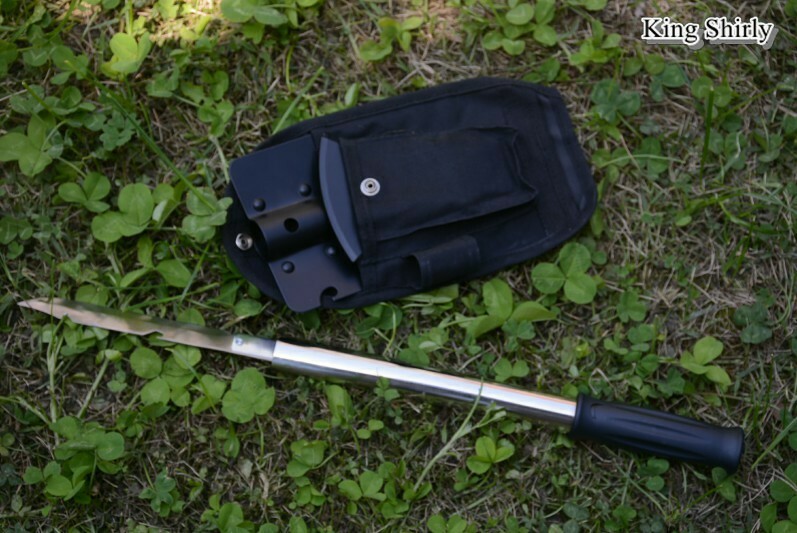 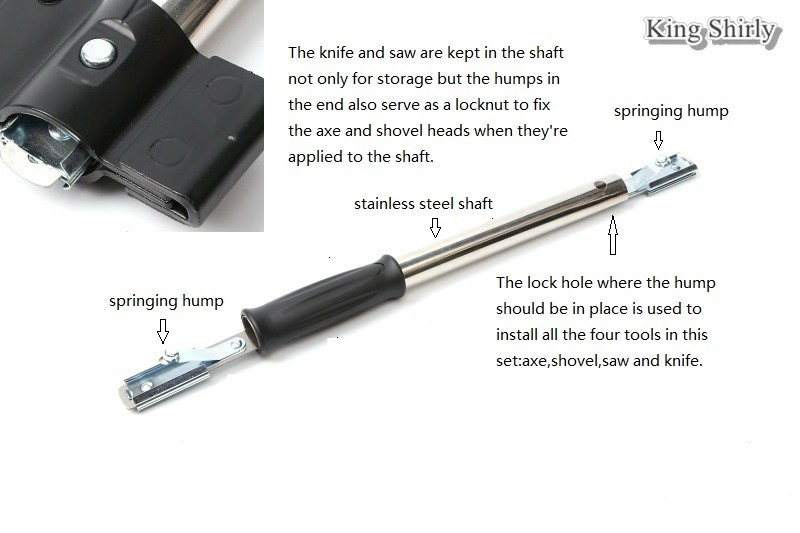 High carbon steel shovel set with 4 separate tool heads and a shaft, held in an oxford pouch for portability. 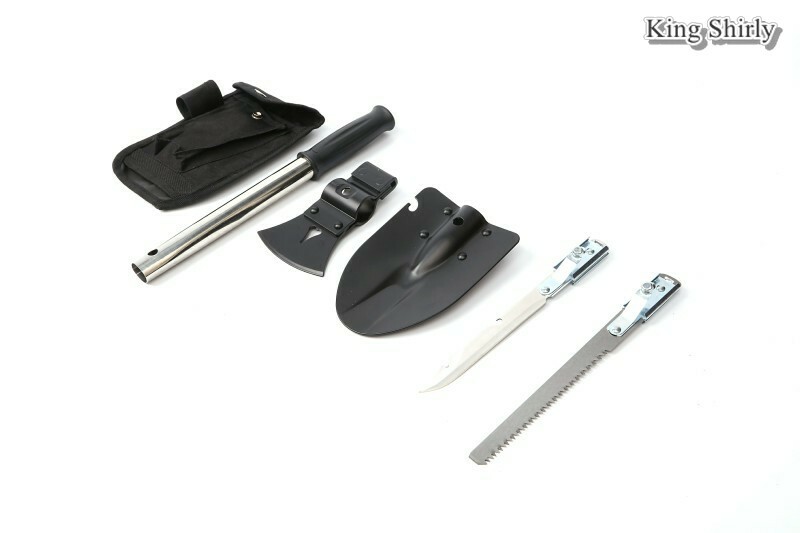 This versatile shovel set includes the heads of a shovel, axe, saw and knife and a shared shaft, held in an oxford pouch with dual loops in the back for portability. 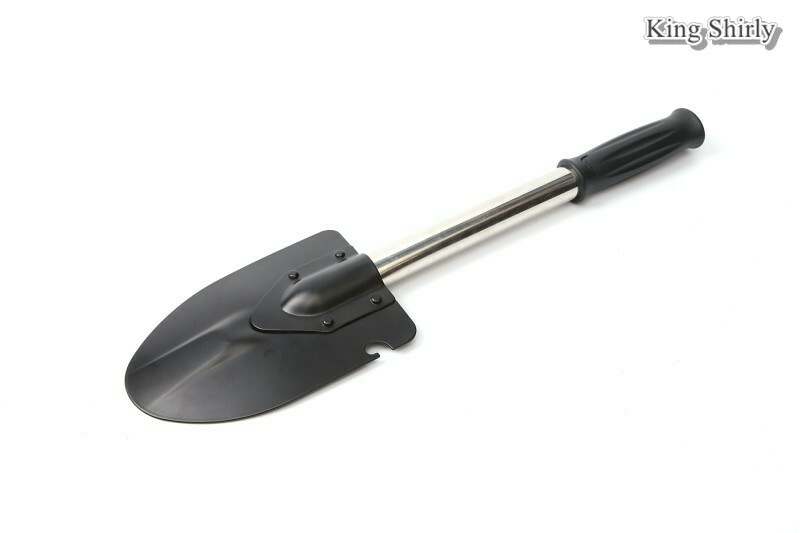 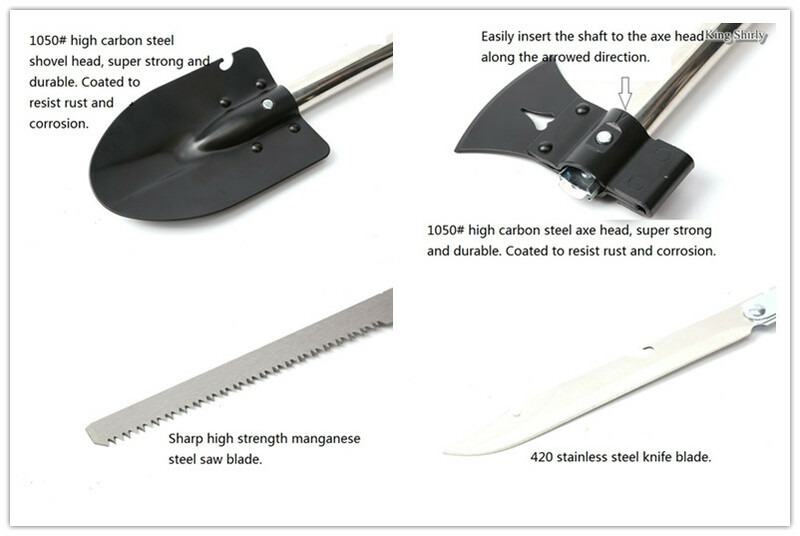 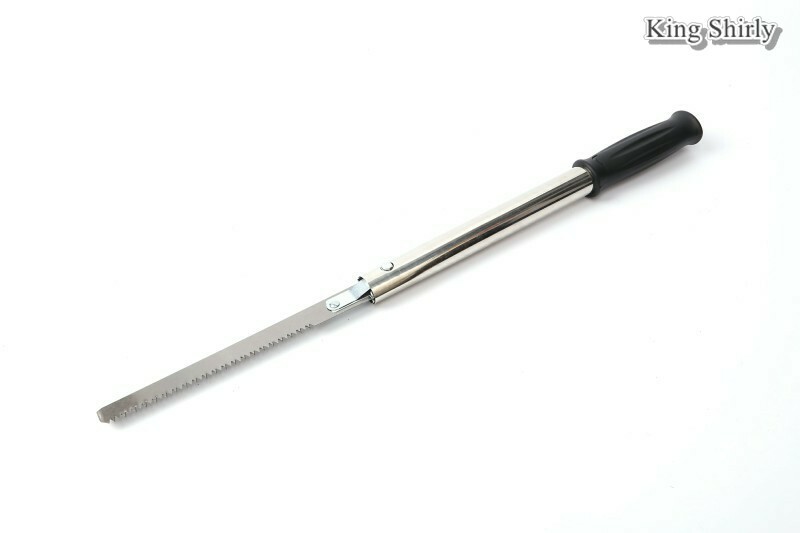 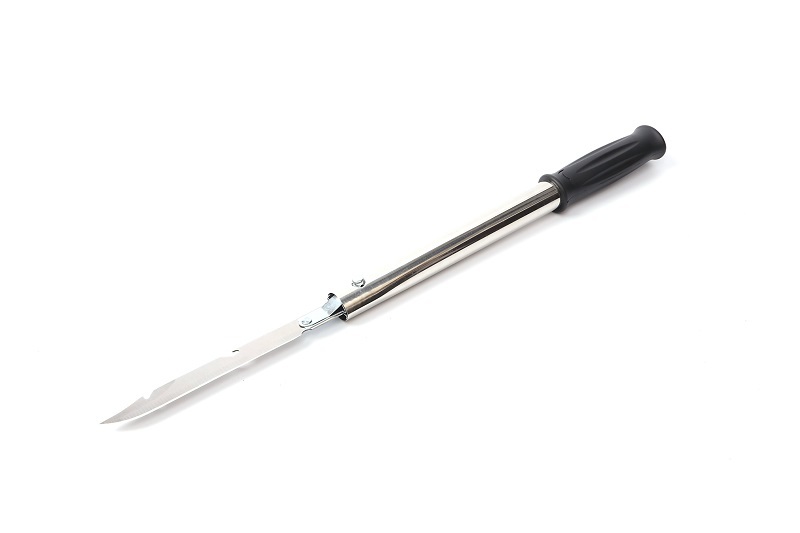 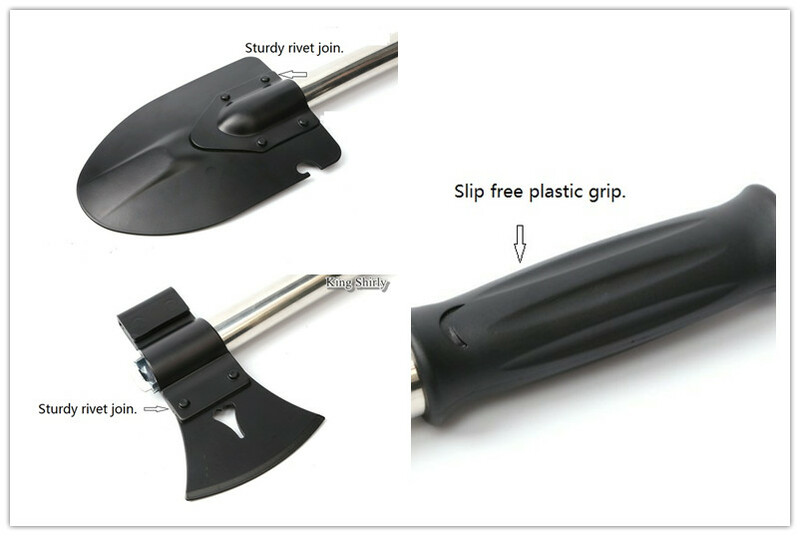 The shovel and axe heads are made of 1050# high carbon steel , heat treated for extra strength while the saw is made of high quality manganese steel and the knife stainless steel. 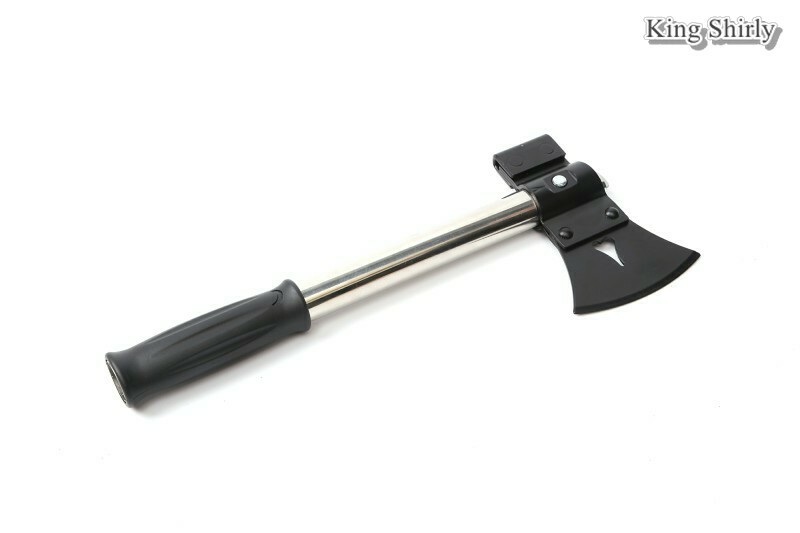 They all can be quickly assembled to exert their functions or disassembled to store. 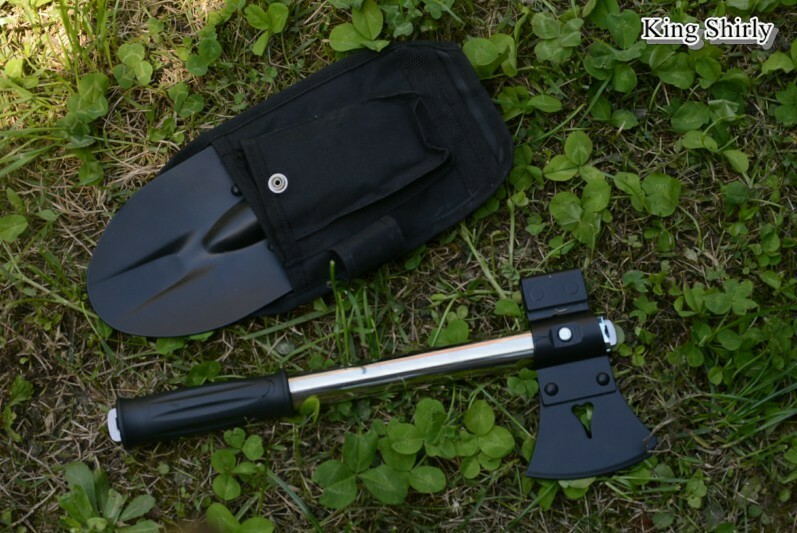 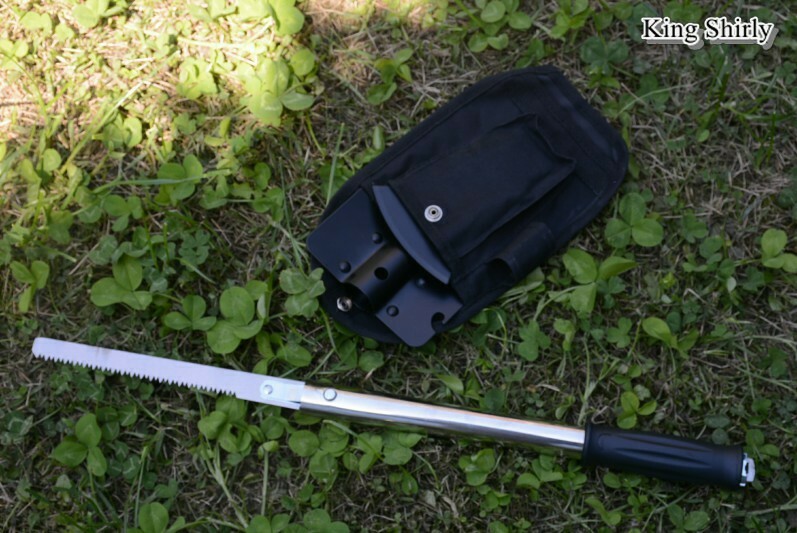 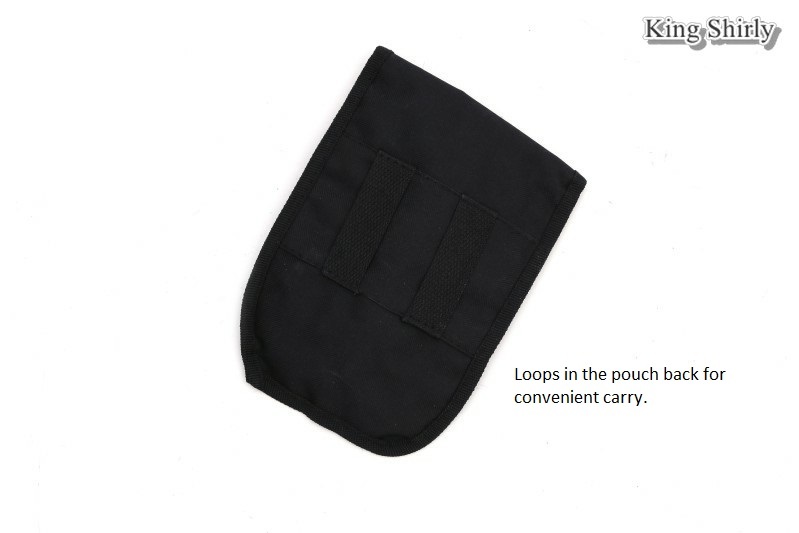 A really convenient and useful tool for gardening, camping and expedition.